When the tears are shed and you are laying in the dark, what do you say? What do you feel? 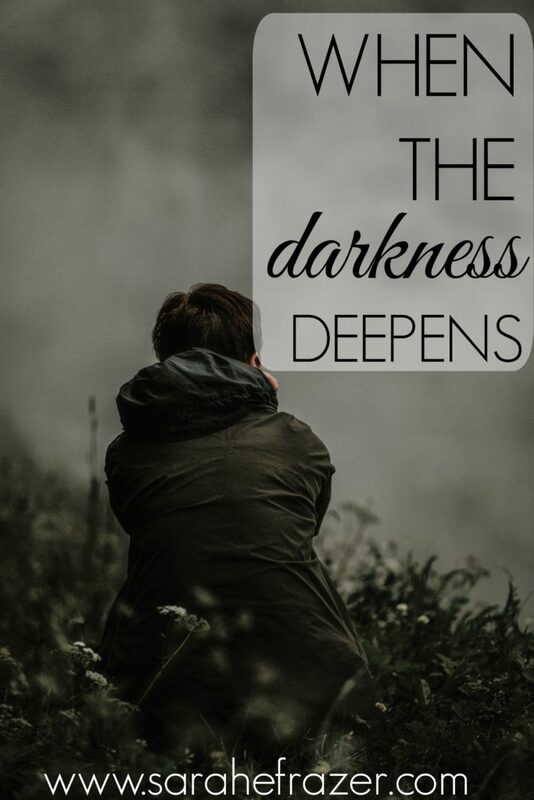 How do you cope when the darkness persists? The other night I was lying in bed, overwhelmed with life, but really I was overwhelmed with my feelings and I had no idea why. Yes life can be stressful. But honestly I feel like my life has always had reasons to be stressful. I’ve never gone the “easy” route. My husband and I proved that with our two adoptions. Now we are going on a grand adventure and moving to Honduras with our five children. It wasn’t any of those things which caused me to go into a deep depression. In fact, I’ve learned to not try and find out why. The next morning I felt a little better – but only slightly. The ebb and flow of my emotions, I’ve learned, are not the boss of me. I can’t live my life on the edge of darkness and not find a coping mechanism. Do the next right thing…. Seems super EASY but in fact, it is super hard. Doing the next right thing will always make me take a step in the right direction. What do I mean by this? Let me tell you what my “next right thing” was last night: sleep. That’s it. My next right thing last night was to go to bed early. I crawled into bed soon after putting the kids to bed and fell asleep. Do I feel like doing any of these things? Nope. Not a chance. But I do them. Not because it moves my business forward, or allows me to do great things for God, or feels overwhelming productive. In fact, sometimes the next right thing seems really, really boring and ordinary. 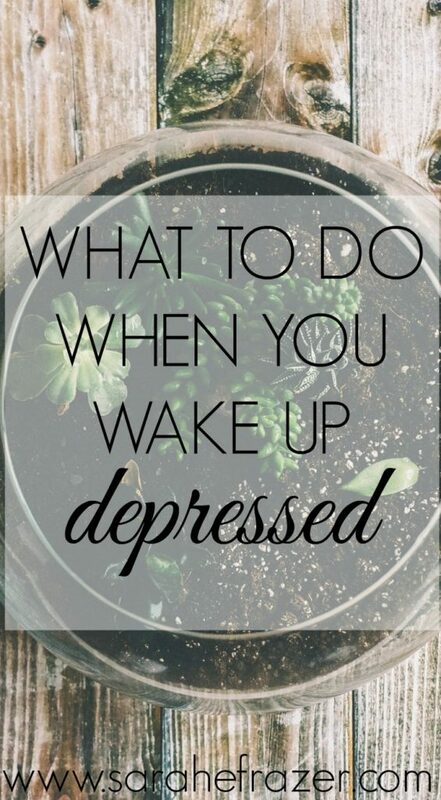 What is the ONE thing to do when you wake up depressed? Do the next, normal thing. Fix coffee. Make your bed. Take a shower. Something boring or ordinary or routine is your next right thing. The ordinary things are where extraordinary spiritual practices are developed. And The Next Right Thing is exactly where we do great things for God. Do you want to do great things for God? Do you want to be a spiritual giant? 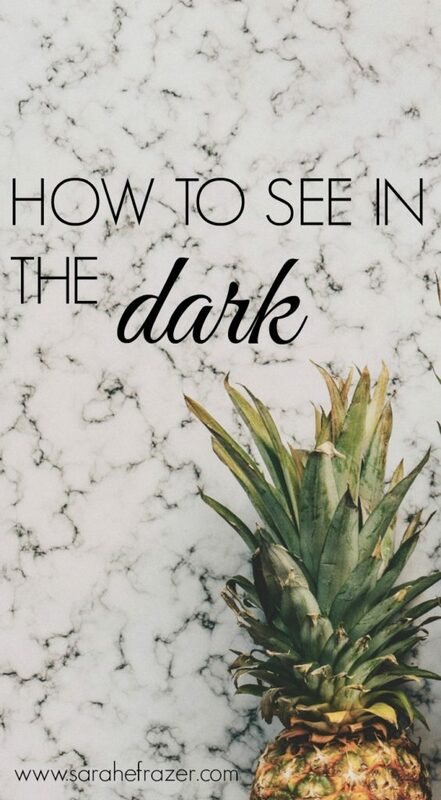 Lean into the grief, the depression, the anxiety, or the stress of life. Lean into it; allow the feelings to come; and then do the next right thing. In this book you will find a blueprint for how to CHANGE the way you make discretions. 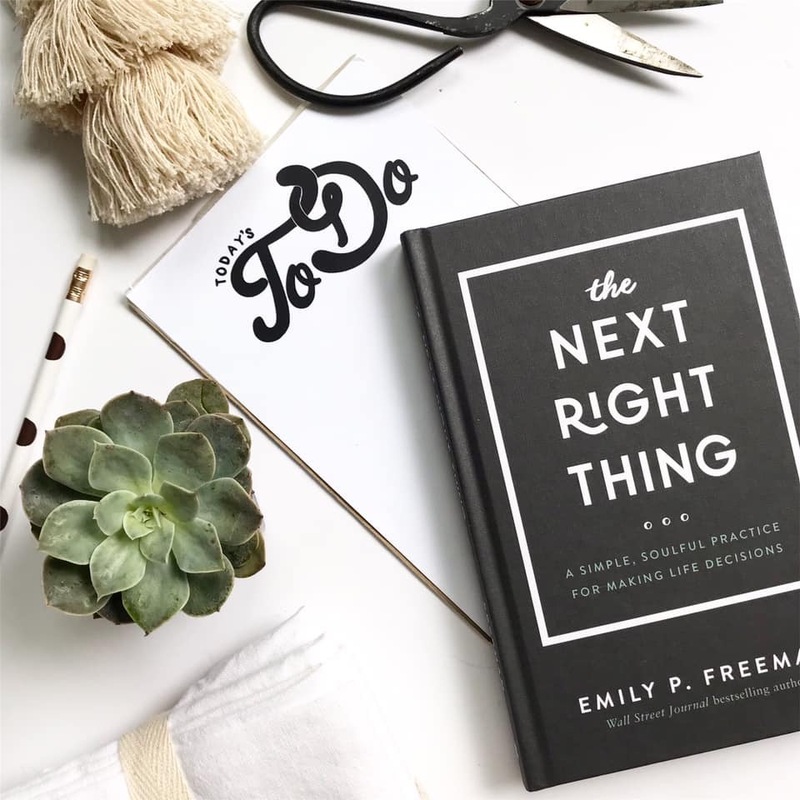 Emily, who wrote the book, does not give you specific steps for what to choose each day – but she shares with you the how-to of making decisions which will give yourself life. In the darkness of anxiety, depression, grief, heartache, and even the weariness of the mundane we all need a little light, don’t we? So here is my suggestion. 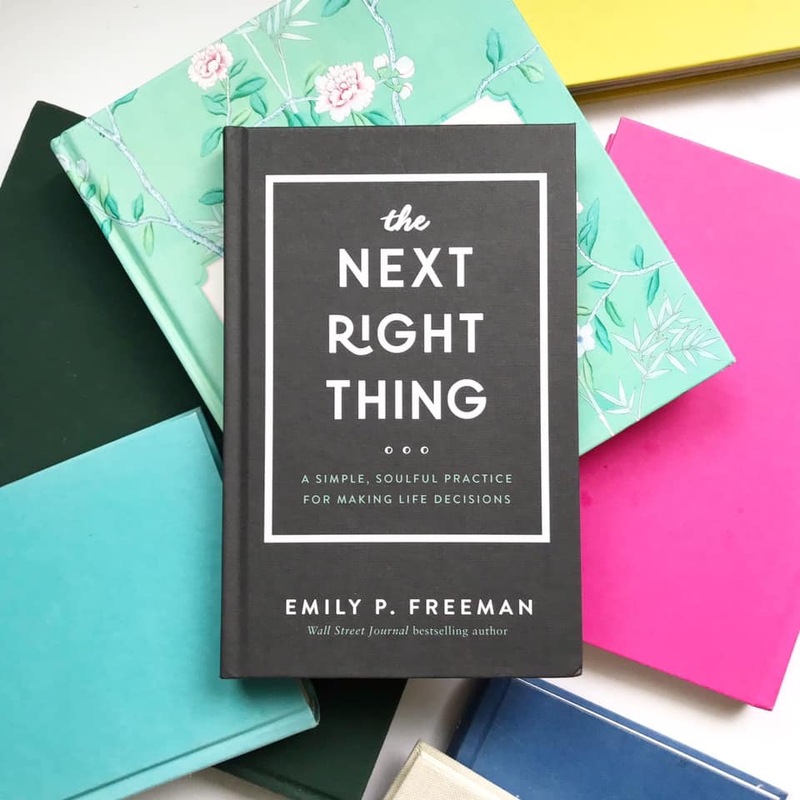 Buy Emily’ book, figure out what you next right thing is today, and do it.